I like Denny’s. The food is usually good if not great. The restaurants are clean. The staff is (usually) friendly, fast, and helpful. You can have an adequate meal at Denny’s for less than the same food would cost you at McDonald’s. 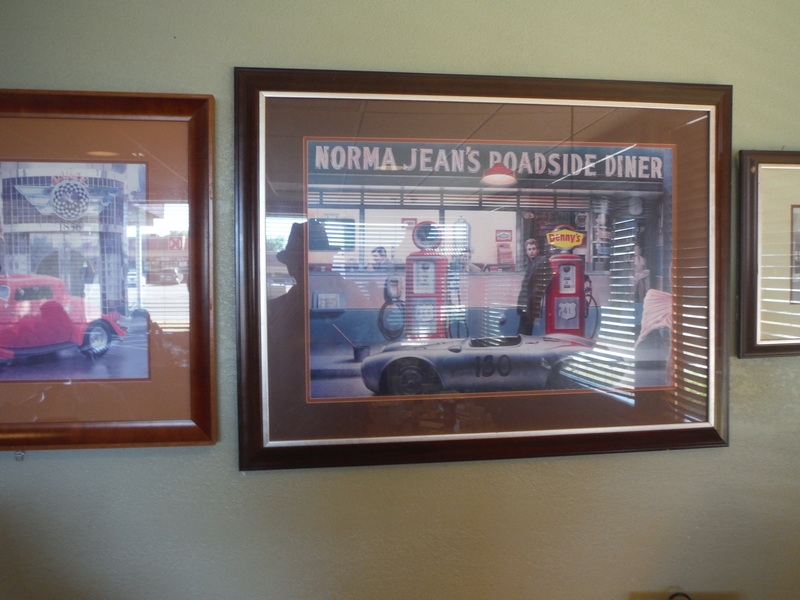 Lately, I have been noticing a lot of Denny’s have been refurbished, and redecorated with photographs and posters celebrating their past. Consider this blog a kind of museum. 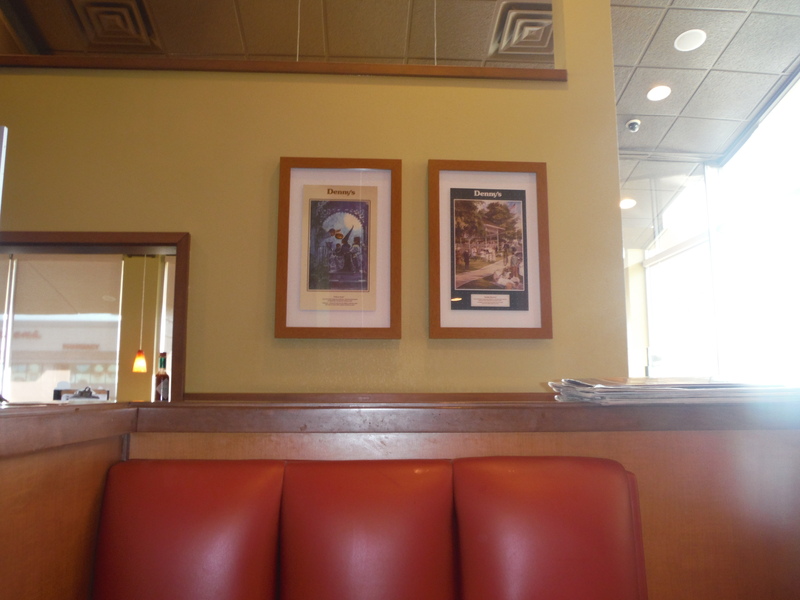 I have taken a lot of pix in and around Denny’s over the last few years, and I’m just going to throw them into this blog. This is an online museum of Denny’s. If you have anything to contribute, send it to me in email (kenstandre@yahoo.com), and if it is worthy, it will also go into this museum. 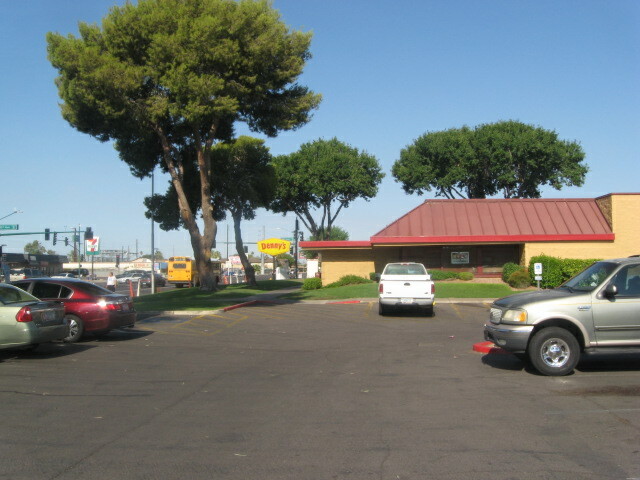 Parking lot @ 35th Ave. & Bethany Home in Phoenix–this the typical Denny’s look. 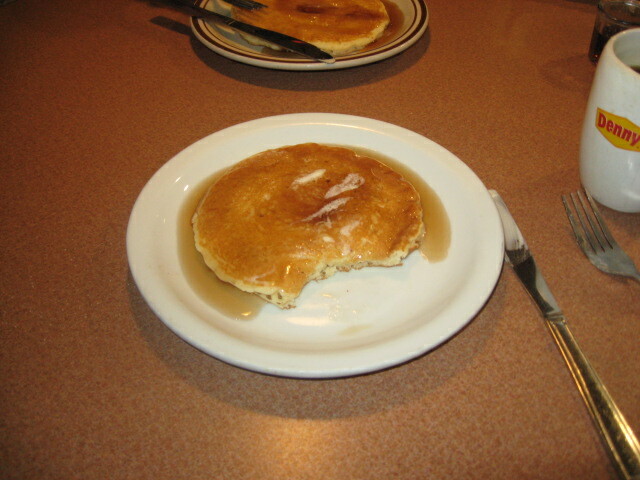 Pancakes are what Denny’s does best. The photo that inspired this blog–taken at breakfast on Sunday morning, Oct. 26, 2014. God only knows when the original photo was taken–sometime before the age of color photography. 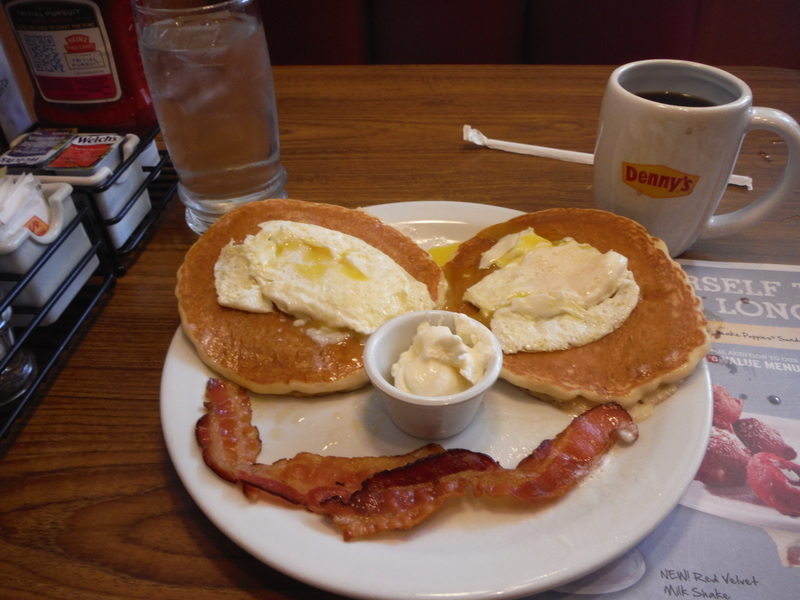 The Face of Breakfast at Denny’s. 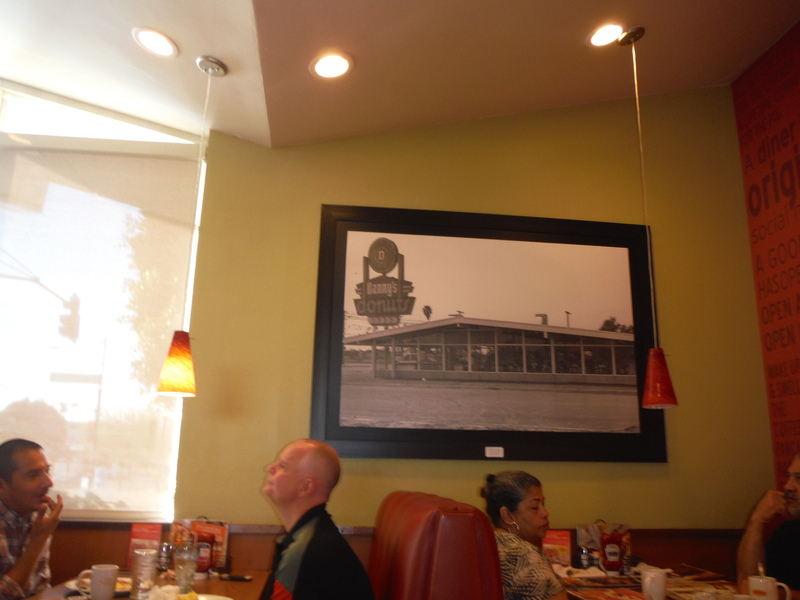 The next 2 shots come from a Denny’s that I found by accident in Santa Ana, California on a trip to Los Angeles for my birthday in April 2014. 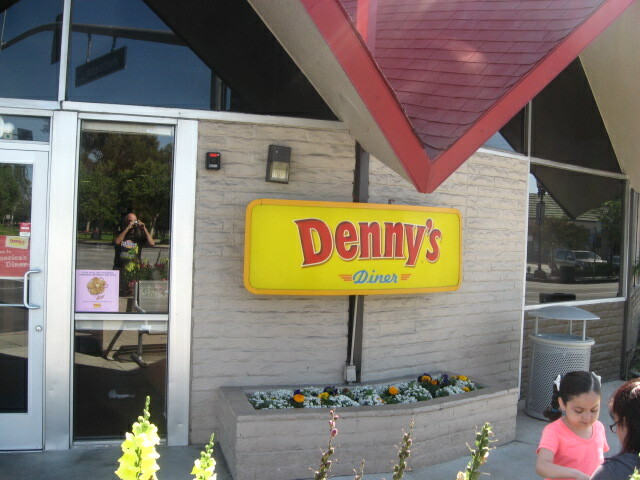 This is the only Denny’s I’ve ever found that didn’t have the typical roadside coffee shop look. This blog is a work in progress. I’m going to publish it now, but reserve the right to expand it whenever I get good material to add. 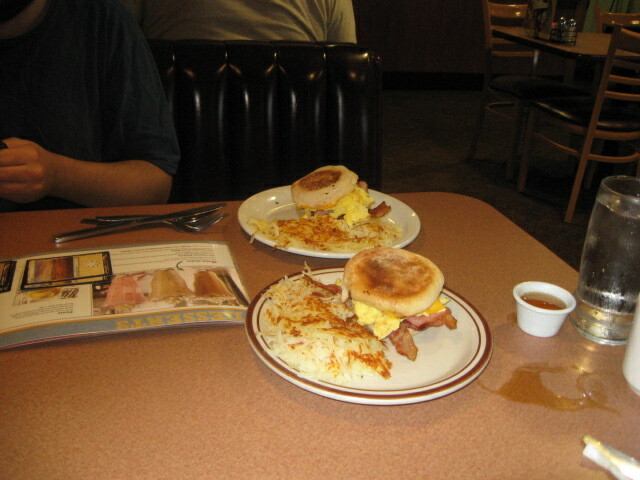 If you have any good pix or stories about Denny’s, why not send them to me? 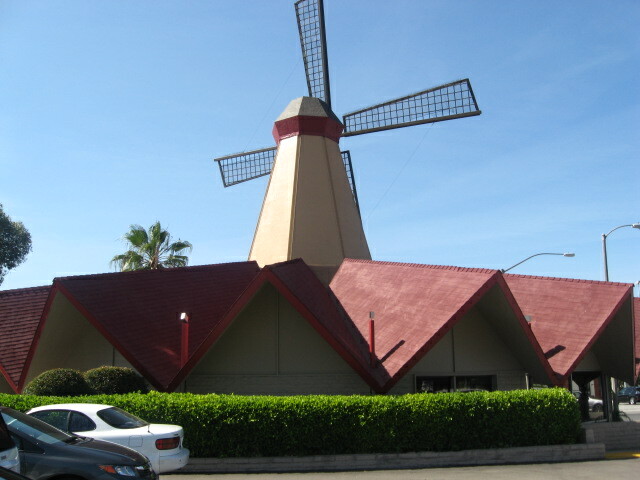 Maybe they will wind up here in the Denny’s online museum. Heh!